The Maker’s Mark story goes that while experimenting with recipes for their whisky, the Samuels family made a lot of bread. The bread kind of bread, not the money kind of bread. They’ve made a lot of the money kind of bread as well, but that came later, first they made a lot of the bread kind of bread. T.W. Samuels reasoned that if he could make a great tasting loaf of bread with a mashbill’s proportion of grain, that same mashbill would make a great tasting whisky. Pretty sound reasoning, really, I mean bread and whisky…two of the greatest things one can put in their belly. A good bowl of chili being another example but unlike bread, it’s best not to base your whisky recipe on your Wisconsin State Fair gold medal winning 4 1/2 alarm chili recipe…I think we all remember how well Dirk Kolwicki’s Firehouse Bourbon went over (onions and hot peppers have no place in bourbon tasting notes). Ok, I made that whole Dirk Kolwicki thing up. I did not make up the thing about T.W. Samuels making a lot of bread (both kinds), he did, and in doing so, he found a recipe that lead to some great whisky. 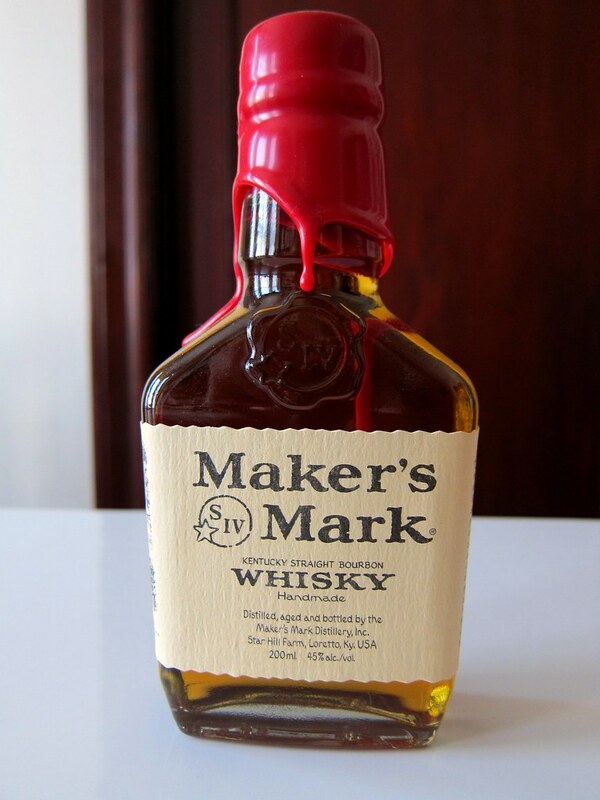 So great, in fact, that there’s been nary a change to Maker’s Mark for more than 50 years. In fact, just this year, they released only the second whisky in their line, Maker’s 46. Maker’s is arguably the first “small batch” bourbon to hit the big time, and probably doesn’t get as much credit as it deserves for being not only a great whisky, but a forerunner in what today is a booming market segment. Aged for around 7 years, Maker’s Mark separates itself from most other bourbons by using red winter wheat in the mashbill instead of rye. They also stick with some tried and true but outdated grain processing techniques that, while perhaps not as efficient as modern methods, are gentler to the ingredients. All of this adds up to a very smooth, nuanced bourbon. The Nose: At first, a very understated nose, but with a little time, it becomes more complex. Good fruit notes, rum raisin cake, a bit of orange and faint whiff of, believe it or not, grilled bananas. Yeah, I said it, grilled bananas. You can’t tell from where you’re sitting but I’m chastising myself for writing the kind of tasting note that I usually roll my eyes and shake my head at…but is still the kind of tasting note I end up writing myself most of the time anyway. So yeah, nice fruit notes and a few salted nuts mingle expertly with smoooooth toffee, oak and vanilla. This is not the nose of a big brown sugar bomb like Buffalo Trace, it’s a bit more delicate and carefully structured. The Finish: Brief, but smooth and full of nice oak and char. Thoughts: It’s been a long, long time since I’ve had Maker’s Mark neat and really attended to its subtleties. As ubiquitous as it may be, it turns out this is a fine, balanced, elegant bourbon. I love the wheated smoothness, and though the oak gets spicy, it’s more refined than other bourbons in this price range. Maker’s prides itself on being a small batch whisky, and despite its widespread availability, a vatting of only 19 barrels at a time make up each bottling. However, they do also pride themselves on a consistent flavor profile as well…and a fairly classic profile at that. Sometimes you just gotta call ’em like you see ’em…but…armpit odor? Sounds like something I could use for one of my Bargain Bin Fridays! You’d have to look in a bargain bin in Japan somewhere… One of the strangest, worst whiskies I’ve ever had… Armpit odor was one of the compliments I gave it.